Recovery Blog How Long Does Cocaine Stay in Your System? Cocaine — informally referred to as “coke” — is a drug that most people are aware of due to the drug’s prevalence in society. People often wonder how long does coke stay in your system. There are a few reasons why this question is so common. One reason is for purposes of drug testing. Cocaine misuse is common, so someone may want to know how long they will test positive for cocaine use. 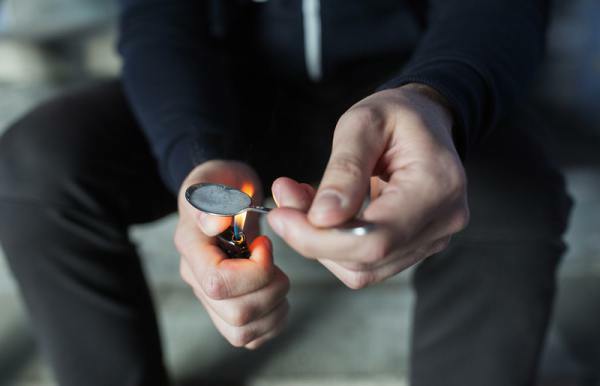 Another reason is to avoid overdosing because taking too much cocaine can lead to deadly side effects including heart attack, seizures and stroke. The high cocaine creates occurs quickly, but also dissipates quickly. A cocaine high may last from 15 minutes to an hour. Peak levels of cocaine occur in the blood around 30 minutes after using it. Within 24 hours, cocaine usually dissipates from the person’s system. Since the high quickly comes and goes, some people may believe drug tests for cocaine won’t pick up the drug long after the latest use. However, the method of consumption, physical factors, the type of drug test and the drug’s half-life all affect how long cocaine remains in your body. How is cocaine used or taken? Frequently cocaine comes as a powder that’s snorted into the nose. When someone snorts cocaine, the effects are felt within a few minutes and can last for up to 30 minutes. Some people may use cocaine orally, which leads to a longer onset of effects, lasting anywhere from 20 to 30 minutes. If cocaine is used intravenously or is smoked, the effects may occur within a matter of seconds, but the high only lasts a few minutes. Different types of drug tests, which include blood, saliva, hair and urine, have different detection windows as well. For example, a urine drug screening may only show cocaine use for up to 24 hours after it was used, while a hair follicle test can detect it for three months after use. What is the half-life of cocaine? The half-life is a measure of how long it takes for one-half the concentration of a substance to leave the body. Cocaine’s half-life in blood is around 90 minutes. It typically takes a substance four or five half-lives to be fully eliminated from a person’s system, so cocaine might clear within 24 hours. Cocaine leaves behind metabolites as the body processes it. Around 40 percent of the cocaine used is processed as metabolites. Metabolites have a longer half-life than cocaine so it can show up on drug tests for significantly longer periods. The primary active metabolite in cocaine is called benzoylecgonine, and it can take anywhere from one to two days to fully leave the system. How Long Does Cocaine Remain in My Hair? How long does cocaine stay in your hair? Hair follicle tests are uncommon, but they do have one of the longest detection windows for any substance. A hair follicle test may show cocaine use up to 90 days after it was last used. How Long Does Cocaine Remain in My Urine? How long does cocaine remain in urine? A urine test can detect cocaine from within a few hours after someone takes the drug up to two days after the latest use. Factors that impact how long cocaine remains in urine include how hydrated someone is and how often they use cocaine. If someone is a long-term cocaine user, the drug may stay in their system for longer because it stores itself in the body’s fatty tissues. If you’re struggling with cocaine addiction, don’t feel alone. Help is available. Contact The Recovery Village Columbus to learn about treatment programs for cocaine addiction. Speak to a representative to work toward establishing a treatment plan that would be a good fit for your needs. NIH National Institute on Drug Abuse. “Cocaine.” May 2016. Accessed March 1, 2019. Buddy T. “How Long Cocaine Stays In Your System.” Verywell Mind, November 13, 2018. Accessed March 1, 2019. Mental Health Daily. “How Long Does Cocaine Stay In Your System.” Accessed March 1, 2019.